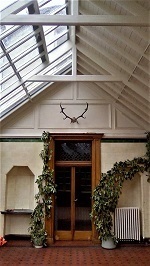 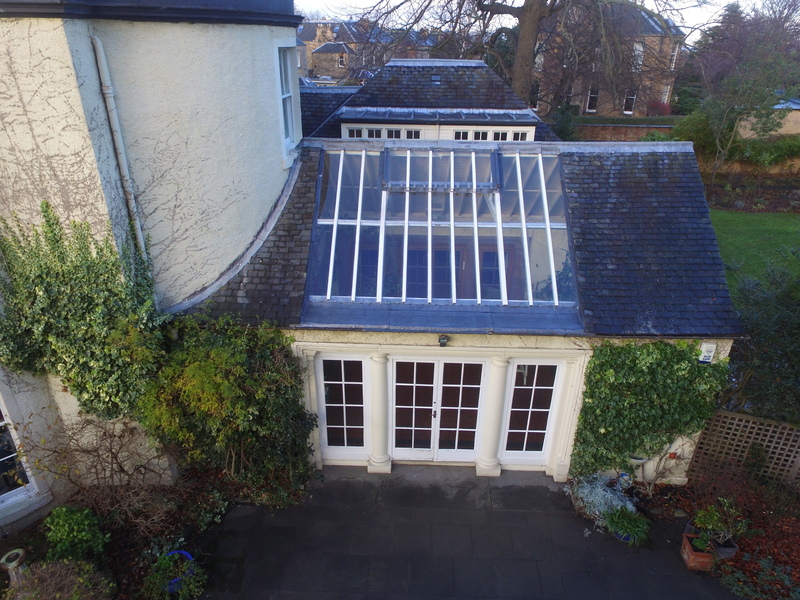 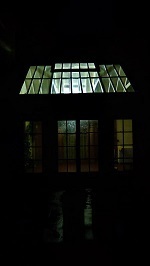 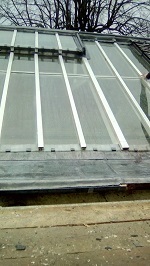 MGF roofing was tasked to restore this beautiful, traditional roof window back to its former glory. 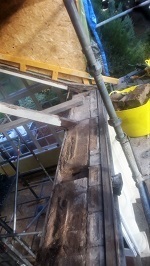 With substantial rot in the roof window supports and supporting wall timbers all requiring replacement. 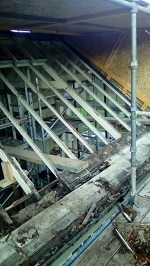 With all the structural timbers failing, the priority was ensuring the existing roof structure was correctly supported prior to any down taking. 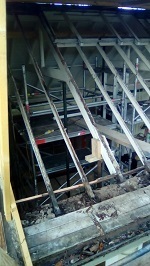 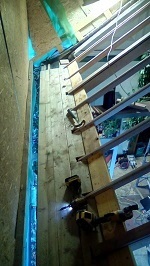 Retaining the structural integrity of the rest of the building while the works were ongoing was paramount. 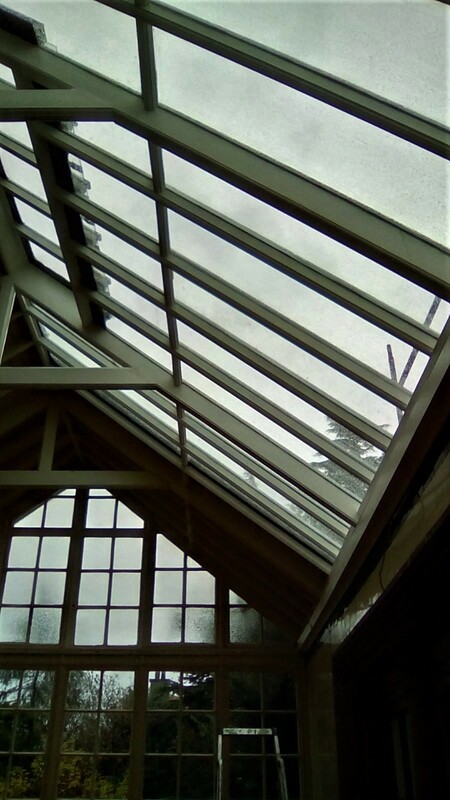 Due to the size and type of timber used, sourcing the correct material to keep the aesthetic look of the window took a little bit time. 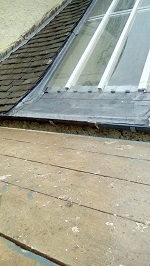 All timbers had to be dressed and detailed to match the existing timbers to ensure aesthetic continuity throughout the building. 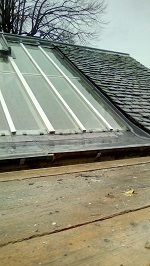 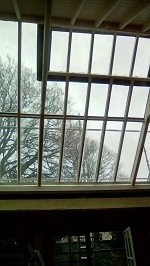 Traditional roof window repair s can be challenging. 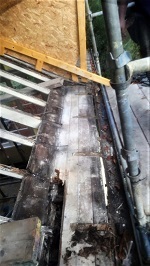 Generally, in a poor condition, it takes skill and experience to carry out repairs properly. 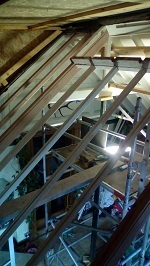 As a multi-trade contractor, all work was carried out by our skilled tradesmen to the highest standards. 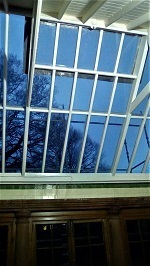 Ensuring projects run smoothly and on schedule our ability to put multiple trades on site simultaneously pays dividends. 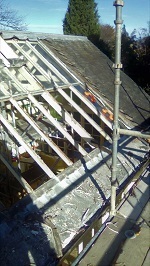 A project such as this needs joiners, lead workers, slaters and glazers drawing from their experience to ensure the work is undertaken correctly.